Experience the red rock country of beautiful Sedona, Arizona. Find the perfect place to stay with the best deals on Sedona hotels. From luxurious getaways at Sedona Resorts & Spas to secluded Sedona retreats or inviting Sedona bed and breakfasts. Discover prestigious Sedona art galleries or spend an afternoon enjoying our many Shops and Plazas. Enjoy some local cuisine at one of our delicious Sedona restaurants. Get out and explore the red rocks with a multitude of Sedona activities to choose from. Play golf in Sedona, teeing off with a red rock back drop at one of our highly rated golf courses. Experience one of many unique psychic readings, learn more about Sedona vortexes, browse through a wealth of healing treatments, Sedona spas and more. Want to find your own piece of paradise? Explore Sedona real estate. Learn more about Sedona. View videos on the history of Sedona, Sedona art and culture, the Native American history and ancient ruins of our area, annual Sedona events & festivals, Sedona weddings, and so much more... all here on Sedona.tv, your vacation guide to Sedona! 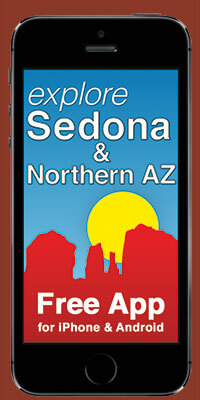 There are so many things to do in Sedona and you'll find it all here on Sedona.tv. Plan your entire trip to Sedona: before you get here - on www.Sedona.tv - and when you arrive - on RED ROCK TV Channel 16 featuring a 90-minute virtual tour of what to see and do in Sedona. Sedona Weddings A perfect destination!